This is a stunning book. A delight. “Dalrymple is a writer of genius: lucid, unsentimental, and profoundly honest…..He is one of the great essayists of our age” (Denis Dutton). I have no idea how I missed this book (which came out in 2005) but I am so glad I found it now. It is one of the best books in terms of understanding our contemporary society. 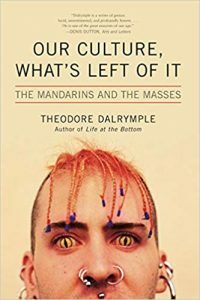 Dalrymple is a doctor and writer. His experience, intelligence and breadth of knowledge make his observations astute, witty and insightful. I will do a fuller review of the book later. The fact that he is not a Christian makes his comments even more astounding, because in so many places he comes up with a biblical analysis (if he does not quite get the solution). I don’t watch a lot of TV but there are some shows that I watch (usually on catch up) for either light entertainment or just to keep tabs on the culture. The Graham Norton show is one such. He is a superb interviewer, witty, intelligent and personable. He is also a window to the liberal zeitgeist of our celebrity culture (because it is only celebrities he interviews). He often starts off with some political jibe (usually about Brexit) and his values reflect all the values of our contemporary culture – something he will never challenge. At times it is crude and lewd – at other times revealing and fascinating. Mostly I find myself feeling saddened and depressed during and after it – what shallow and sad lives most of our celebrities seem to lead. Would love to see Norton becoming a Christian….of course it would be the end of his show – but he would make a great apologist! If you are fed up hearing about Brexit but still want to understand what it is all about – Brexit – a Love Story from the BBC is the best resource. Mark Mardell is a brilliant narrator and interviewer. It is entertaining, balanced and informative. The BBC at its best. Cohen is my favourite poet – every album contains masterpieces! Popular Problems is one of my favourite albums ever. Born in Chains is such a great Gospel presentation! I have a real problem with the concept of ‘fine dining’. It seems extravagant, wasteful and somewhat over indulgent. At times it becomes really pretentious. But there are other times when it is just beautiful and extraordinary food. I don’t think its wrong to enjoy the Lord’s creation in that way – did He not after all give us taste buds, creativity and the ability to appreciate beauty? This week was Mrs R’s birthday so we went to one such fine dining establishment – I believe it won the award as Scotland’s best restaurant. It’s The Newport in Newport. Because of a great voucher deal we were able to enjoy a superb tasting menu….all of it was delicious – a delight. We gave thanks before the meal and we gave thanks afterwards. The only problem is -don’t be in a hurry….the service was incredibly slow….I got hungry in between courses! But the Newport is special – and it has a great view across the Tay to Bonnie Dundee. Dare I share this here, in the illustrious company of Leonard Cohen? I have now written seven Bible inspired songs but, if you or someone reading this see sufficient merit in this, please let me know through this forum or a pm. Let’s go back to Christendom then where most people were serfs or slaves; families were split up and sold; torture for heresy was seen as God’s will; the churches got rich exploiting the poor, women died in childbirth; people died of disease because prayer was seen as better than medicine; all Jews were considered killers of God; the blood libel; democracy, freedom of speech, freedom of religion, rights for women didn’t exist. Reject the Enlightenment and we would have something worse than Nazi Germany. Can I suggest you read John Gray’s Black Mass – which will help you see that it was the Enlightenment that at least partially led to Nazi Germany! Alex, the ‘Enlightenment’ was not a ‘thing’. It is a retrospective term we use to describe a particular historical period which stretches from the late 17th C to the beginning of the 19th. The ‘enlightenment’ comprised extreme versions – the kind that brought you Madame Guillotine, and the butchery of thousands in the name of secularism, and the more moderate kind that we experienced here, in Britain. 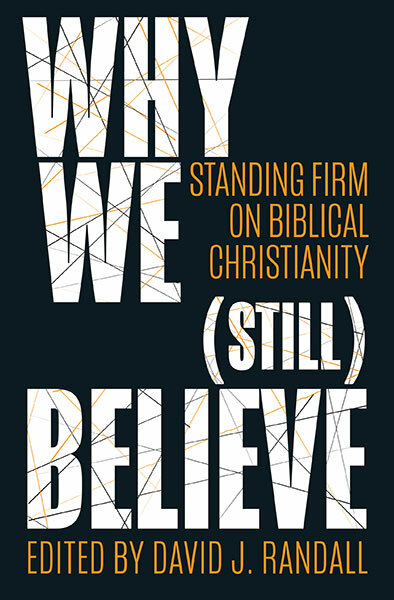 You should be thankful that our ‘enlightenment’ was of a more moderate nature – and that was largely due to the reflections of Christian theologians and philosophers. Graham Norton’s biography makes for very interesting reading. I laughed and cried. He made a Christian commitment – of sorts – as a child.